I love getting Beauty Samples. Testing new beauty products has become easier with these new sampling programs that allow you to see what you like before investing heavily into brands. I'm going to list several programs here that are free or deeply discounted so you can experiment and find out what works for you. This subscription program sends out over $100 worth of beauty products every other month. For a low price of under $15 per month you get sample sized and even full sized products to use. The program even includes a subscription to the quarterly magazine NewBeauty. Even more important, you may choose to share your thoughts on each product to let others know how you felt about them. This idea is great. You help yourself to fantastic products you may have never tried, and you do reviews for others! While not necessarily a Freebie sample only offer, Scarlet & Julia is widely known for great customer service, personalized expert help (they even supply information for some of our articles), and free samples for members. Do you hate searching for that item that no one seems to have? Besides name brand beauty products, they also carry niche brands that I'm sure you'll be thrilled to discover! They have weekly specials that we try to place on our mini-blog, so be sure you subscribe and right now you can check out their website by clicking this link and get Free shipping on orders over $75. Oh yes, and Free Beauty Samples, too! Free Shipping on All Orders Over $75 at Scarlet & Julia! At DERMAdoctor you not only choose from many skincare products, but you have an opportunity to talk to a skincare professional to get advice on what products you actually need. We all know how hard it is to make a choice today with so many available options. You can use the link below for free shipping information as well. 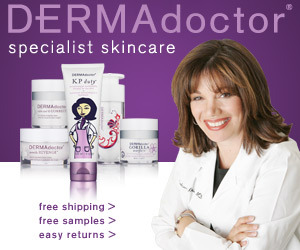 DERMAdoctor - Skincare Headquarters: Free Shipping!